The Cloisters sits on a hill in Fort Tryon Park, near the northern tip of Manhattan. Its collection of medieval art from all over the world encourages a mood of quiet contemplation. 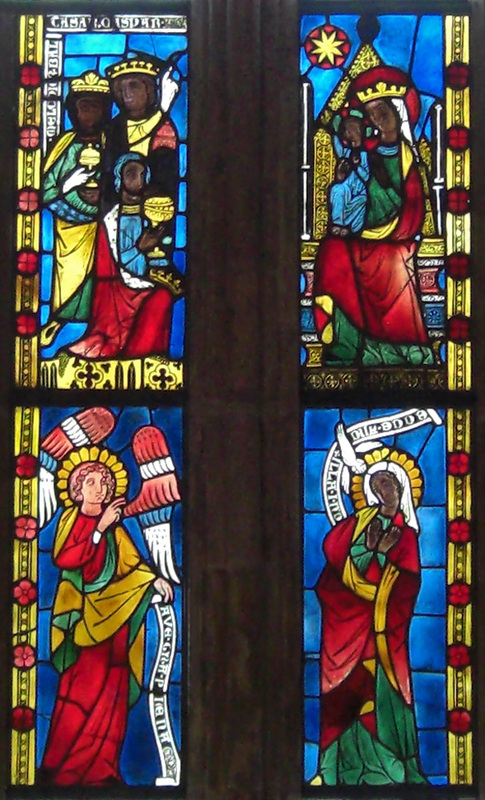 These German window panels are 700 years old. 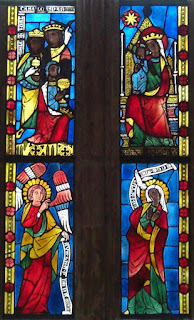 Although most people were illiterate in 1300, they could all easily "read" the windows: the Annunciation at the bottom and the Adoration of the Magi at the top. Some of the vitreous paint has changed color over the years, leaving the figures with a wide range of skin tones. This seems appropriate to notice and celebrate as we approach the day when we mark the birth of He who came to try and make this world a kinder, gentler, more peaceful place.